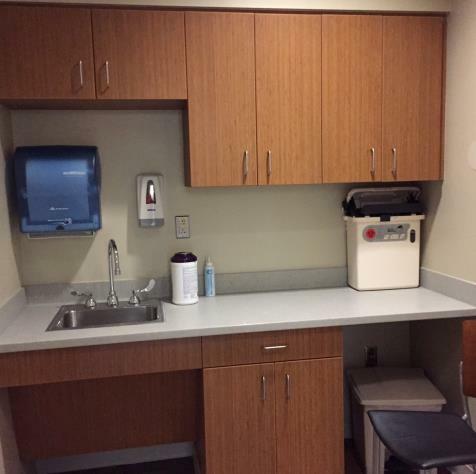 We have a very warm and inviting lactation room that includes a conference chair, small table, and sink. 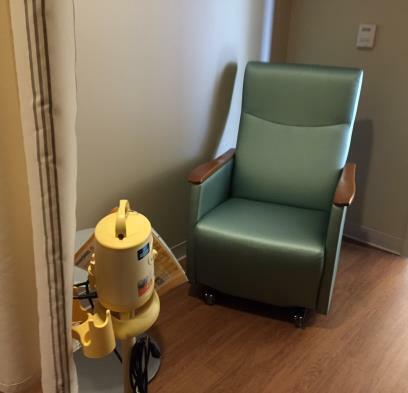 We have hospital grade pumps for staff use that can be checked out and returned to our Labor and Delivery desk. 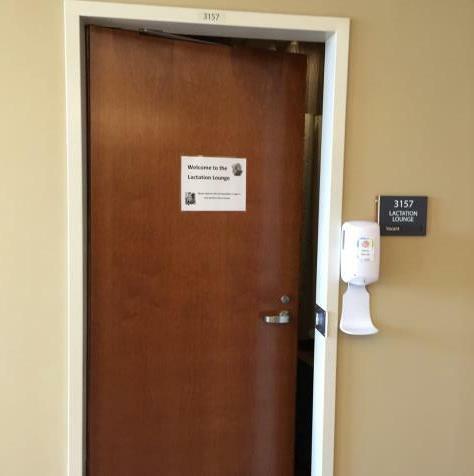 The door closes and locks with an occupied sign with an additional curtain for privacy. The lactation room is always clean and cozy. I use my own pump equipment, but I see that there is a Medela pump provided. I like the lights dim for relaxation while in the room. The sink is very important to have. I use my departments refrigerator to store my milk while working, I also like that there is a lactation log, so that I can see what time works best for me to use the room. Maybe I would only suggest pictures or baby themed dÃ©cor in the room, but hat's the least to consider.